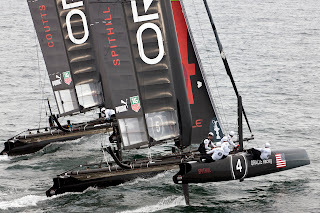 TAG Heuer’s prestigious shield logo will be featured on the wingsails of ORACLE Racing’s high-performance catamarans. The ultra-precise AQUARACER 500M Chronographs will keep time for ORACLE Racing’s sailors, including Russell Coutts and James Spithill. 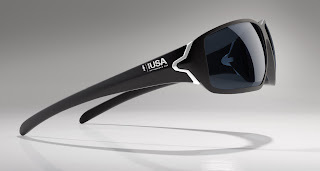 Additionally, TAG Heuer’s technologically advanced eyewear – especially the new sporty RACER line – will shield team members’ eyes from ultra-violet rays and salt spray. To celebrate the partnership, TAG Heuer will develop a special timepiece with countdown function to be tested during the America’s Cup World Series Regattas leading up to the 34th America’s Cup. The new partnership was announced today in San Diego at the third round of the America’s Cup World Series. ORACLE Racing has two crews entered. Racing catamarans capable of speeds in excess of 30mph/48kph requires the ultimate eye protection from piercing spray and exposure to the UV light spectrum. Not only does TAG Heuer’s sports eyewear feature lightweight, comfortable and stylish frames, but also the multi-coated lenses have water-dispersing hydrophobic features. “Having such a prestigious world-renowned brand join our team is not just great news for ORACLE Racing but for the America’s Cup as well,” said Coutts.